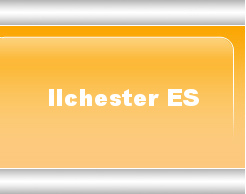 Welcome to the instrumental music program at Ilchester Elementary School! I am very excited about working with you and your child this year. The instrumental music program offers a wonderful opportunity to foster the musical development of your child. Performing in instrumental ensembles gives students so much more then just musical training. Students learn cooperation & teamwork, commitment & responsibility, tolerance & acceptance as well as perseverance and self-discipline. Performing in concerts builds self-esteem, confidence and pride in accomplishment! Studying music also reinforces reading and math skills, and enhances gross and fine motor skills. Having high expectations and standards gives each student the maximum benefit and enjoyment from their musical experiences. This page will explain those expectations and also the policies regarding your child’s participation in the instrumental program. Please read it through with your child. I look forward to working with you as you support your child’s musical growth and development! All students meet with me twice a week. Band and strings are part of a "pullout program." This means that students are “pulled out” of other classes (2x/month of recess, 2x/month of specials, 2x/month of language arts, and 2x/month of content) to attend instrumental music. Students are not pulled out of math for lessons. Students are responsible for making up the work they miss while at instrumental music. The schedule is on a four week rotation so they are not always missing the same subjects. Beginning strings students have two 30 minute classes per week. Beginning band students will have three 30 minute classes and one full band rehearsal every two weeks. Advanced band and strings students receive one 30 minute lesson and one full ensemble rehesrsal per week. It is imperative that every student arrives on time and prepared for each lesson and rehearsal. At each lesson your child will be given an assignment to be practiced at home. Students will also receive warm-up exercises that should be played before practicing. Students will occasionally be given written music theory or written response assignments. Written assignments will be due at the first lesson of the following week. Students will complete assignments demonstrating their knowledge of note reading and music theory to further their understanding of music notation and creative processes. Theory/Composition Assessments: Each formal written assessment is worth 25 points, minimum of two/quarter. Theory assignments will be evaluated using the creating rubric provided by Howard County Public Schools. Any assessment receiving a D or below is sent home and requires a parent signature. Students will complete assignments that explore musical works performed in the class to further their understanding of performance practice. Assignments will include listening to personal, ensemble, and professional recordings and describing what they hear using appropriate vocabulary and completing playing assessments that demonstrate their mastery of these musicianship skills. Musicianship Assessments: Each formal assessment is worth 25 points, minimum of two/quarter: one written listening evaluation and one playing assessment. Written assignments will be evaluated using the responding rubric provided by Howard County Public Schools. Formal playing assessments are evaluated based on a rubric provided on the back of the scoring sheet. Any assessment receiving a D or below is sent home and requires a parent signature. Every student will receive graded performance assessments and skills tests throughout the year. These tests may be live or video and/or audio recorded. Performance Assessments: Each formal assessment is worth 25 points, minimum of two/quarter. Formal playing assessments are evaluated using a rubric provided on the back of the scoring sheet. Any assessment receiving a D or below is sent home and requires a parent signature. Students are not just learning to perform on their instruments, but they are also learning to conduct themselves in a large ensemble rehearsal. This class will put the student in the role of a professional instrumental musician. As such, you will be asked to show your understanding of rehearsal and performance behavior. Students are observed and assessed on their instrumental performance and rehearsal conduct on a daily basis. This includes attendance to classes and concerts as well as being prepared for class and their completed practice logs. 2-8 points: The total score will be deducted 2 points for any of the following: instrument not being in working order (ex. not having reeds or valves not being oiled), missing any piece of music, or coming to class late. The score will be deducted 5 points for not having an instrument. 0 points: If the student misses the lesson without it being previously excused, unless they are not in school during the time of the lesson. (Excused lessons can be because of a test or special program, which has been cleared with me before hand). Practice Habits: Each week is worth 100 points. I record the number of minutes each child practices per week. In order to do this, I must have their SIGNED practice log. (Any minutes over 100 will count as extra credit points). As long as the logs are handed in by their due date, I will take the week with lowest score on that log and replace it with a 100 points. Any logs handed in after the due date but before report cards are due to the office will be counted, but will not receive the bonus of having the lowest week’s score removed. Any logs not signed will not be counted. If your child plays another instrument such as piano, half of that practice time can be counted towards their practice grade. Students will receive written reflection assignments over the course of the year. Students will evaluate their performances and performances by other groups in the following categories: tone, technique, intonation, musicality, balance, interpretation, musical effect, and other factors.Reflection Assessments: Each formal assessment is worth 25 points, minimum of one/quarter. Written reflection assignments will be evaluated using the responding rubric provided by Howard County Public Schools. Any assessment receiving a D or below is sent home and requires a parent. All students will be required to purchase an instrumental music lesson book. All band and string students will perform in a winter and spring concert. Student attendance is mandatory, so please mark your calendars now! Absence due to sudden illness, death in the faily, or religious observation will be excused with a written note upon the student’s return to school. White blouse, polo or button down shirt. Black skirt or dress pants. Dark shoes and socks.